The cable features an A-Male connector on one end and an A-Female connector on the other. Typically, the Male A connector plugs in to your computer and the Female A connects to the cable you need extending. Check your device manuals to make sure this is the connector you need. 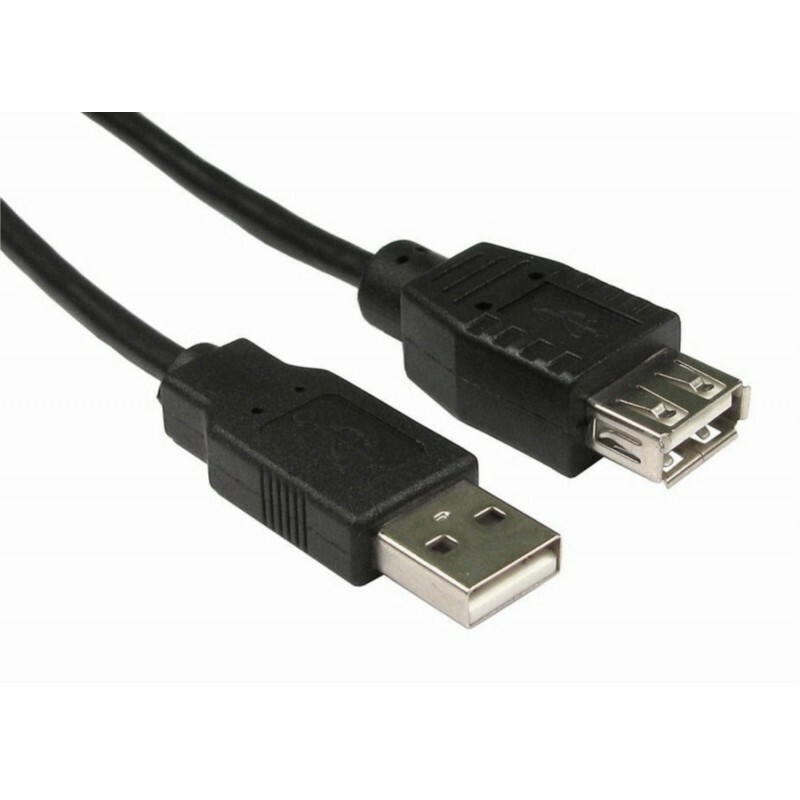 This USB 2.0 Extension Cable supports the full 480-Mbps transmission speed of the USB 2.0 standard, so you can take advantage of the full performance of your peripherals and devices. The AmazonBasics USB 2.0 Extension Cable features shielding that provides protection against noise from electromagnetic and radio-frequency signals, keeping your signal clear with less loss of bandwidth for higher performance.